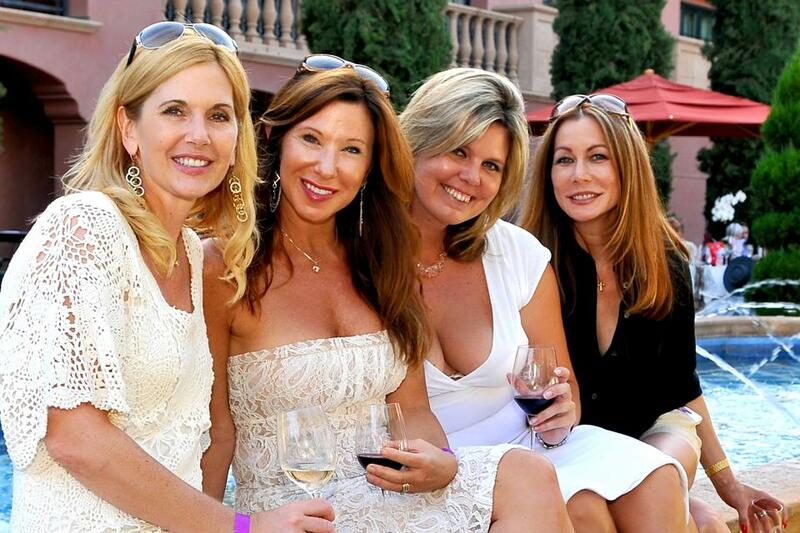 San Diego's longest-running wine tasting event returns on Sunday, September 18! 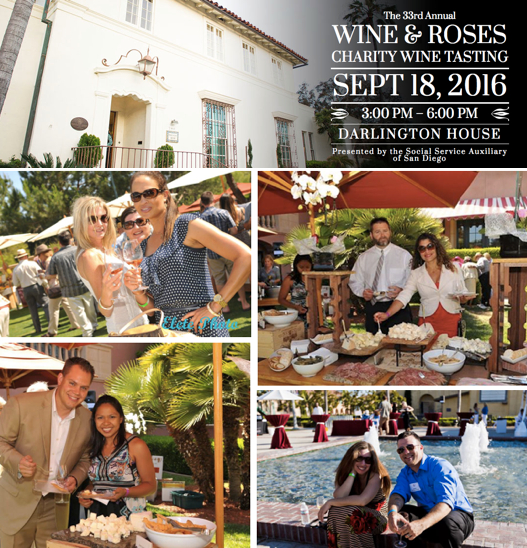 The Social Service Auxiliary of San Diego will host its 33rd annual Wine & Roses Charity Wine Tasting event at a new venue - the Darlington House in La Jolla - for an exclusive afternoon of bites, live music, and samples of exclusive wines from throughout California, all for a good cause. With its new venue at the Darlington House in La Jolla (relocating from The Grand Del Mar), attendees can expect a more intimate atmosphere for this year's Wine & Roses - with tray-passed small bites being paired with excellent wines, as well as soft tunes from a grand piano in the living room of the historic mansion. Although the location has changed, the most important detail of the event still remains the same - helping the at-risk children of San Diego attend Camp Oliver, a youth summer camp non-profit organization in Descanso, CA. Since its inaugural event, Wine & Roses has built one of the most revered wine events in the country where attendees get to taste expertly-curated wines from all over California and the United States while still being able to donate millions to its beneficiary, Camp Oliver - totaling over $2.1 million in donations over 32 years. This year, Wine & Roses will also feature a raffle, ticketed at $100, with prizes like an instant wine cellar full of extraordinary wines and a grand raffle prize of an eight day/seven night stay in a luxurious two-bedroom vacation villa at the winner’s choice of a Hilton Grand Vacations Club Resort in Hawaii. Wine & Roses has an exclusive maximum of 200 guests and tickets are available online for $150 for the Rose Garden ticket and $250 for the Platinum Garden ticket. A purchase of a pair of Platinum Garden tickets will cover a campership fee for one child. Valet is included in the ticket price for guests. All proceeds from the Wine & Roses event benefit Camp Oliver. For more information about Wine & Roses and to purchase tickets, visit wineandroses.net.